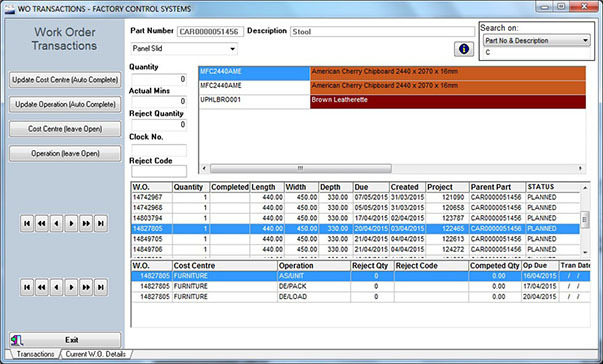 The Works Order Processing Module manages the instructions given to the factory, by operation or by project. It has the facility to export to multiple CAM systems and re-import from these, for material utilisation and tracking purposes. The optional ’Back-flush’ feature automatically removes components from issuing to Stock Rooms, when Works Orders are booked. Daily recording sheets are produced for each Work Centre / Operation, which show all requirements and what “Over dues” are outstanding. Facility to print Works Orders for each named Work Centre or by individual Project Number. Full use of offset and procurement lead-times to optimise order dates for both parts and resources. Facility to pass additional comments for each component within a Bill for Custom Manufacturing. Contains a feature to set “Reasons for Rejecting Items” and to use these, in code form, during the works order booking process, so that they can be effectively analysed. 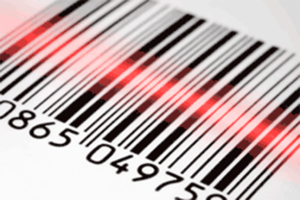 Wireless bar code scanners are used to interactively record production. They also advise operators on their progress, and warn them if they have incorrectly selected part / product. Where applicable, in-line scanners can automatically record production as it passes on the conveyer. This can also automatically trigger the printing of labels on packing lines. Information can be displayed on the gun itself or on a large screen monitor, where appropriate, e.g. for showing the nest layout for a foil press.